One way to celebrate Kobe’s farewell to the game? Release his past models in style. 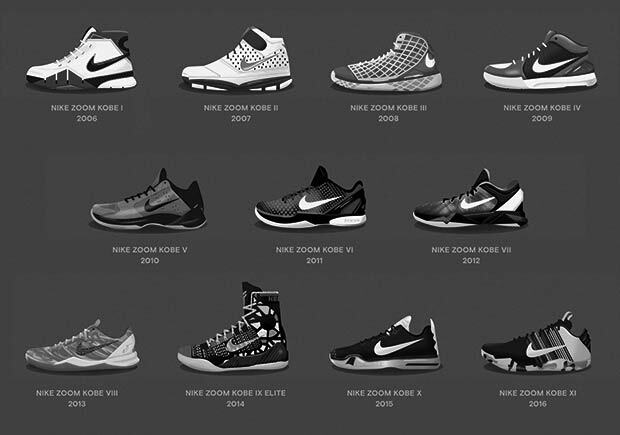 Sneakerheads received one of the most thorough and profound Retro campaigns in the Kobe Prelude Collection back in 2013/2014, but Nike is ready to up the ante with the “Fade To Black” Collection, which allegedly features the Kobe signature models from 1 through 11 as well as the Huarache 2k4, all with unique tonal colorways that begin from a solid white and eventually fade to black on the Kobe 11 Elite Low. The @KB824 Instagram account also confirms that each should will retail for $200, and that the Kobe FTB Pack will hit stores beginning in March (disclaimer: release dates could be for Asia). We can’t wait to see what’s in store, so get all the details you need here and stay tuned for more updates.